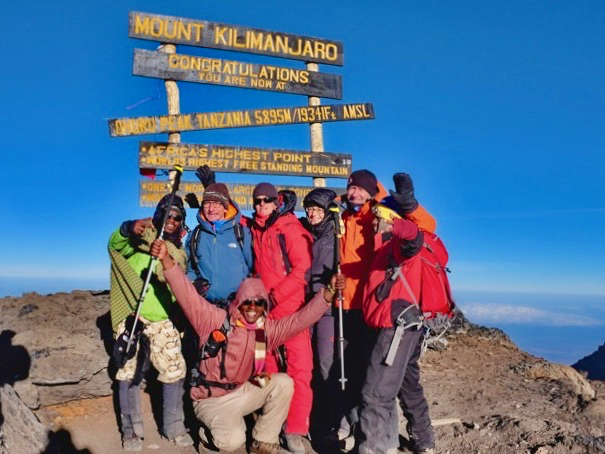 You would like to know how other travelers liked climbing Kilimanjaro with our team? We are happy to tell you more! Below you can find reviews from other travelers. If you have any questions or also want to travel with us, please contact us at any time! 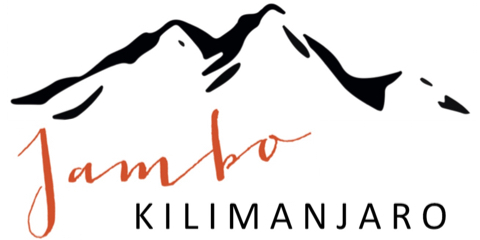 Many thanks for the great organisation, JAMBO KILIMANJARO and we can recommend you 100 %. It was hard and we were at the limit. Super team and organized! 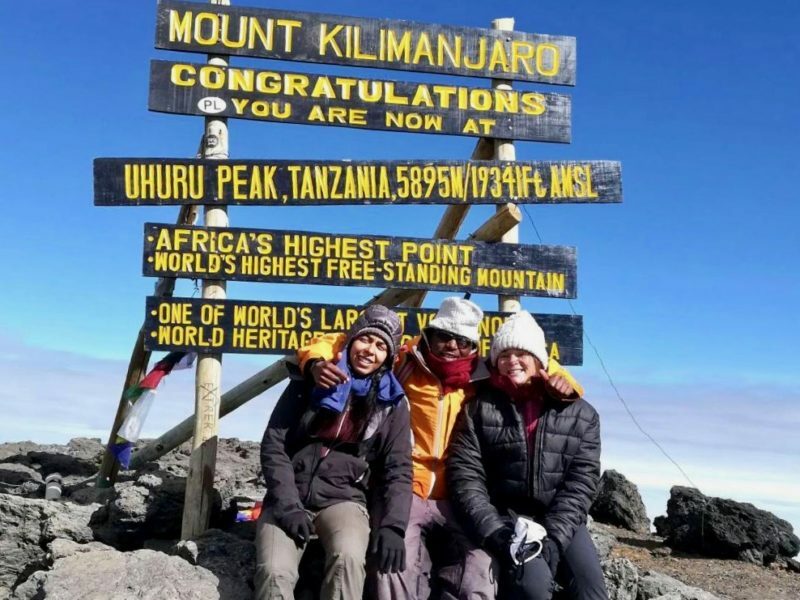 “A wonderful and unforgettable journey and ascent of Kilimanjaro” We chose the Machame route in 7 days for the diversity of the landscapes and we were not disappointed. The landscapes are varied and magnificent. The acclimatization went very well. The first 2 days we were able to walk at a good pace, then the following days “pole pole” to the summit. The day before the final ascent, at Barafu Camp, we tried to take a nap in the afternoon, then ate around 6pm, before sleeping a little before the ascent, starting at 1am. We arrived at the summit around 6:45 am, under a freezing cold, but with lots of emotions. Everything was also perfect in terms of accommodation, transport, catering, and the safaris, with helpful, dedicated and friendly people every time. I was pleasantly surprised by the good organization of the trek, the efficiency of the porters, the quality of the cook and the good advice of the guides Erasto and Amos, all in a friendly atmosphere. I first climbed Mt. 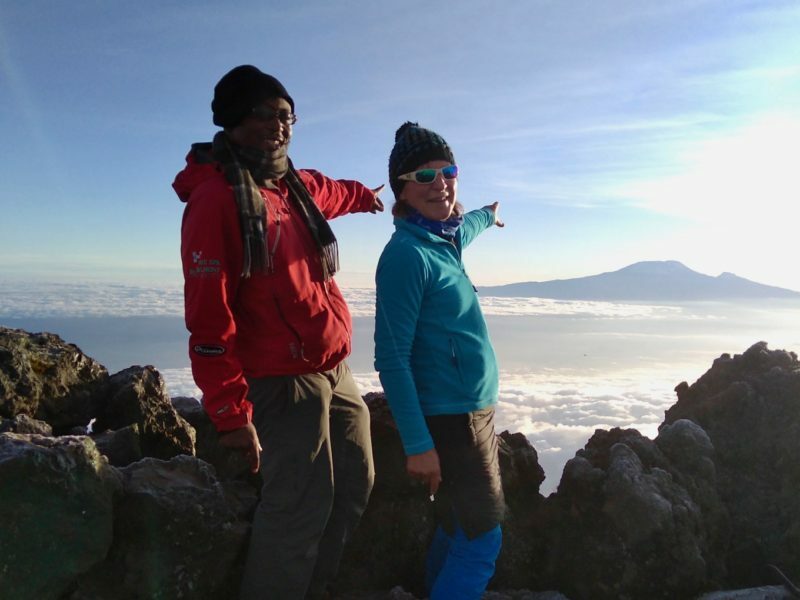 Meru alone and then Kilimanjaro via Machame Route together with a French woman. During both treks I always felt safe, well looked after and taken care of. I had a great experience with Jambo Kilimanjaro and the whole team during the two weeks. Everyone was so welcoming, caring and nice – even travelling alone as a woman was absolutely no problem. I was also very impressed that our cook prepared the tastiest dishes for us every day with only simple means. Ambureni Coffee Lodge in Arusha is a wonderful place to stay and chill before and after the tour – I enjoyed the peaceful atmosphere and delicious food there so much – and felt right at home. When I come back to Tanzania, I will definitely go on tour again with Erasto and Amos, because we had a lot of fun together. Twice I had the great pleasure of pacing the paths of Kilimanjaro with Erasto as a guide; twice I have lived unique and authentic experiences. Erasto does its utmost to satisfy his customers and create an unforgettable adventure. Nothing is left to chance. Due to his great knowledge of the mountain paths, Erasto constantly led us on the right trails. My experience with him is 100% a success and I recommend anyone to part on this journey with him. 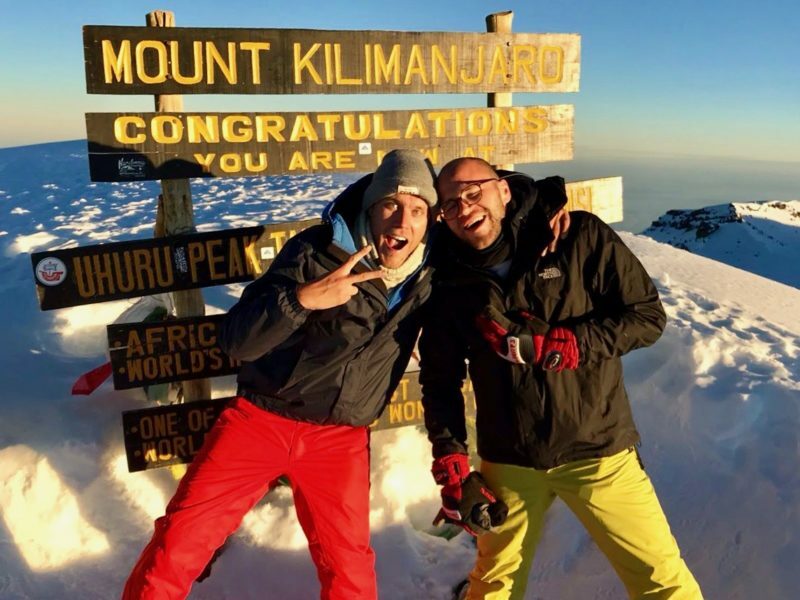 My brother Moritz (26) and I (30) had the chance to climb the summit of Kilimanjaro with Amos as our guide at the end of May 2018. Amos was a great leader from the beginning, expert and ultimately friend of our small group. He made every effort to read all wishes from the eyes, took care even of the smallest issue immediately, and always had the goal to afford us an unforgettable time. 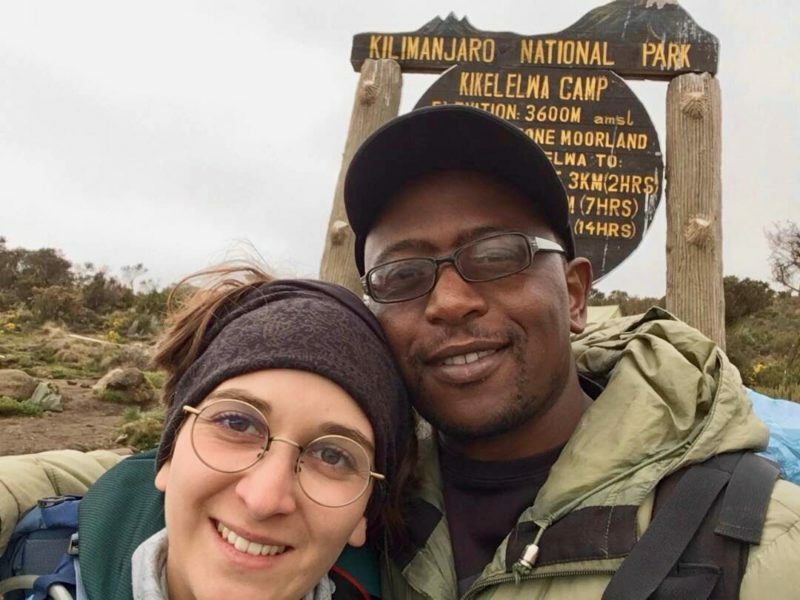 In addition to the one week with him on Machame Route, we also went on a safari in the Serengeti and the Ngorongoro National Park with him. During that time, he took great care of us as well. I can definitely say that Amos has become a good friend and is definitely the “one and only guide” who I can warmly recommend to anyone. Together with his perfectly harmonizing team of cooks, porters, drivers, etc., we had two unforgettable weeks in Tanzania. Thanks a lot for this! The ascent of Kilimanjaro was carried out in idyllic conditions. A solid and attentive team to its customers, advice always welcome, useful information and necessary to successfully make this climb. We did not miss anything, the meals were delicious and animated, the rhythm of excursion adapted to the group and sometimes if necessary to subgroups! 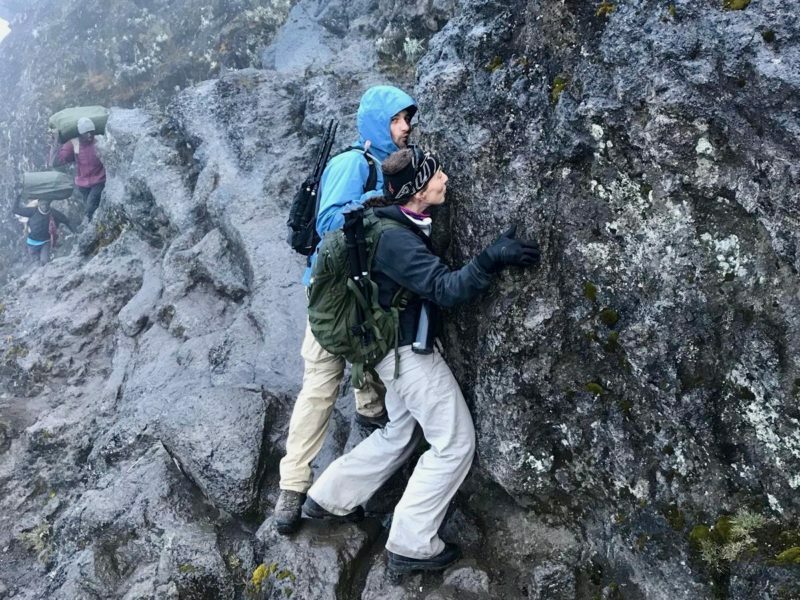 We had lots of humorous moments during the climb, which was an indispensable partner to this adventure. Erasto and his team really cared about us and helped us to reach the top in good health, they knew how to get the best out of us. I recommend with pleasure and sincerity to share this experience with Erasto and his partners. A unique and unforgettable adventure! 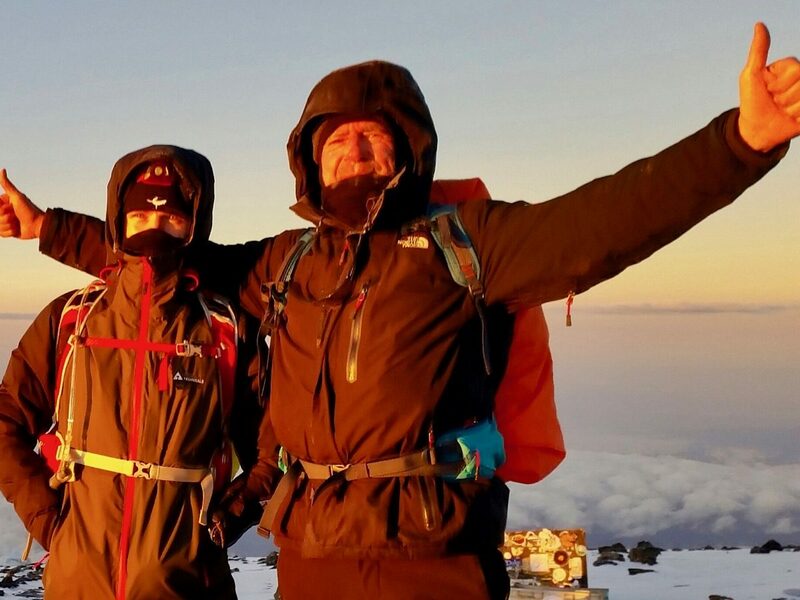 Thanks to Amos we reached the summit of Mount Kilimanjaro after about 6 hours hike from the Base Camp and saw an amazing sunrise over Kenya. Thank you Amos for the funny and motivating conversations during the hike and the professional companionship on our 6 day Machame Route! 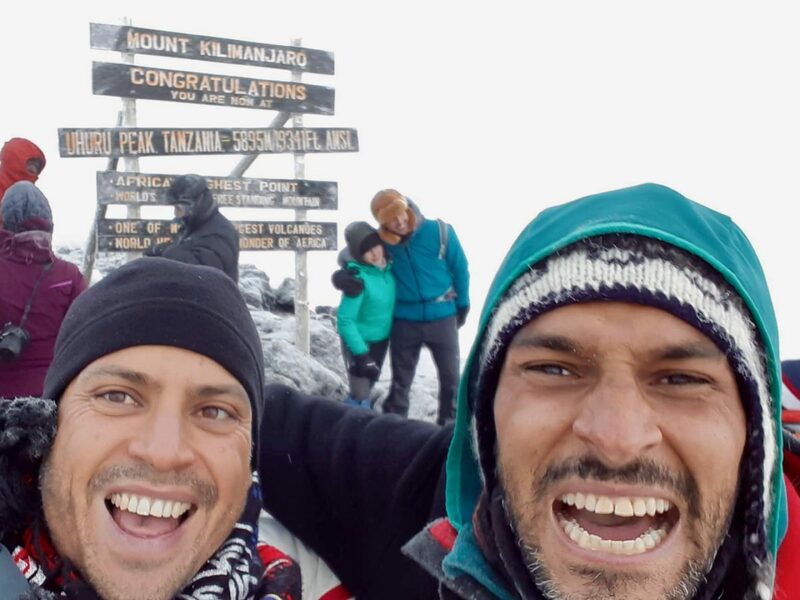 We have climbed Mount Kilimanjaro in February, with Erasto Pallangyo as our main guide. It has been an extraordinary journey, and Erasto a fantastic guide! Thanks to him, we made it all to the top. His seriousness, his knowledge, his attention have been very much appreciated. He prepared us before the ascension, explaining the route, checking our bags… He did everything to make our journey not only secure and confortable, but also friendly and unforgettable. Personally, he helped me a lot. I walked stepping into his steps and this took me to the summit! He brought us in a very positive and encouraging state of mind. He tought me the power of positive thinking and it worked! All of us, we very much appreciated Erasto and recommend him warmly. And he was also able to gather around him a team of guides, assistant guides, cook, porteurs, all of very high quality, courageous, friendly and highly spirited. Thank you again very much Erasto!!! We plan each trip individually, according to your wishes. Send us your request online free of charge and without obligation. We will contact you with a personal offer.